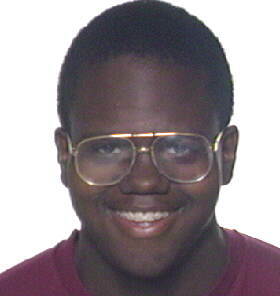 This was the photo used for my Harvard Student ID. 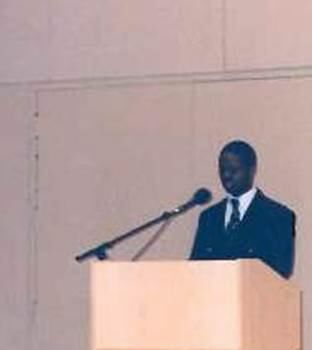 It was taken in September 1996 during my freshman year. Here is a picture of my junior year room (lead paint and all :)) in Eliot House. This is me and my college roomate, Ian Marenna. He is a really cool guy from Boston and we get along very well. Here I am with my roomates from my freshman year of college. From L to R: Joe Marino, Me, Brian Friedman, and John Bachman. They are all really awesome people and are great to be around. Here is a picture of me and some of the fellas from the Black Men's Forum chilling together after the 1998 Celebration of Black Women (where the honored speaker was my mom :)). Here I am with Taharee at Harvard after the Parade of Stars award ceremony. 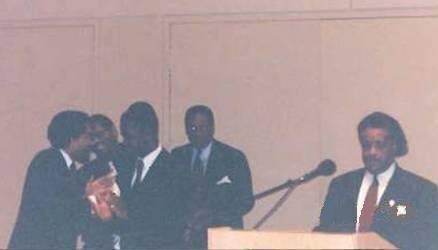 Here is a picture of David Dinkins, the former mayor of New York, from when he visited Harvard (September 24, 1998). 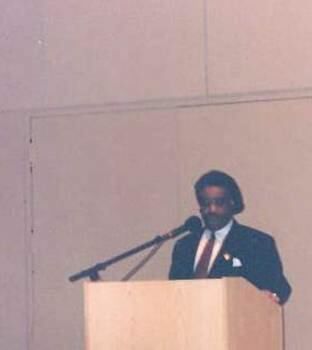 During my senior year, as president of the Harvard Black Men's Forum (BMF), I spearheaded a session on racial profiling, for which we attracted the Reverend Al Sharpton as our honored guest. 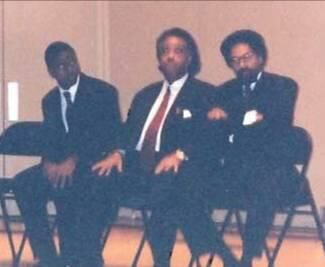 From L to R: Me, Reverend Sharpton, and Professor Cornel West (faculty advisor to the BMF). 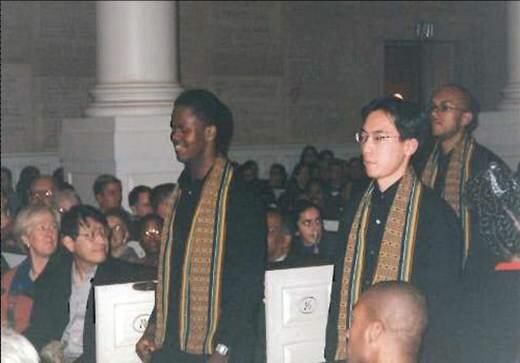 The event was held in Harvard's Lowell Lecture Hall (November 22, 1999). 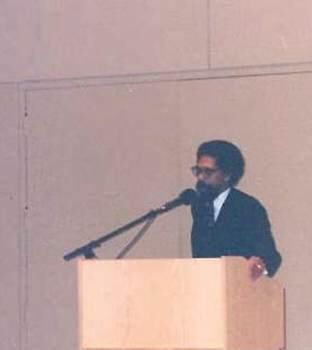 Separate pictures of me introducing Cornel West, Professor West introducing Rev. Sharpton, and Rev. Sharpton's oration on the subject of racial profiling. 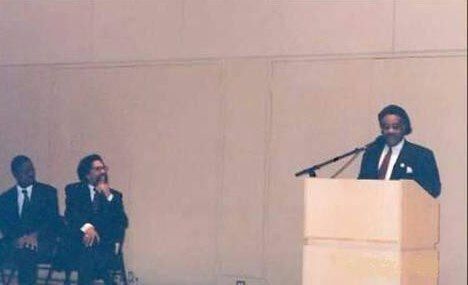 A picture of me collaborating with Cornel West at the conclusion of the event. 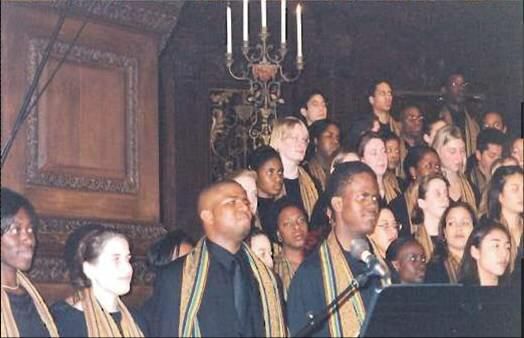 In the background besides Rev. Sharpton (L to R): Harrel Connor (brotherhood chair of the BMF) and Dr. S. Allen Counter (director of the Harvard Foundation, which helped co-sponsor the event). 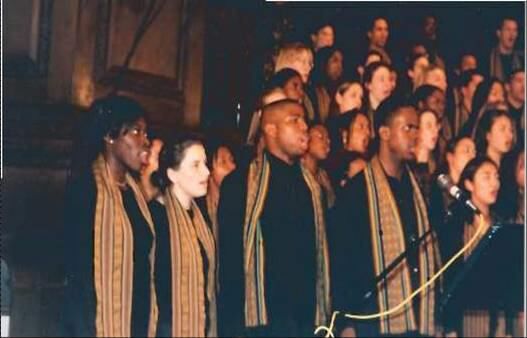 During my last two years of college, I joined the Kuumba Singers, Harvard's gospel choir. 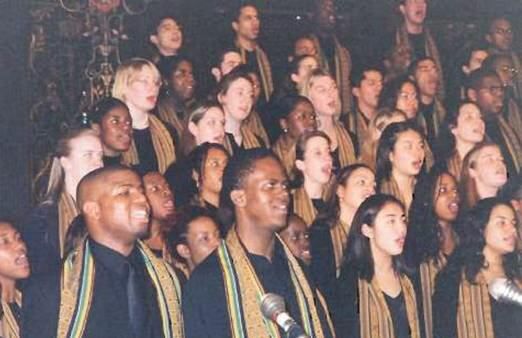 Here are some pictures of us during our 1999 Christmas concert.